It might just be me, but whenever I hear about a new worship CD coming out, I’m not running to the nearest store. I think a good deal of this stems from the fact that, to me, worship music all sounds the same. I know this sounds bad coming from someone that loves the Lord and enjoys worshiping him, but haven’t we all wondered about this, or am I flying solo on this one? Recently, I found out that a worship leader I know made this album Autumn In Repair. He described it to me as a “rock meet worship experience” album. I have to admit it caught my attention, and I was intrigued. I figured that if there was someone that could pull it off, it could be these guys. After playing for a couple years in the local bar scene they seem to have found a way to blend their passion of rock with their passion of leading worship on Sunday mornings in the presence of God. Track 1, “Freedom Doxology” repeats the line “let freedom ring out”, which seems as if it has become almost a cry of this generation to be free from government and religious oppression. Its nice to see the focus of freedom being given to God, when our current generation seems to be running away from Christ. Track 2, “Saving Grace” is a songs that dates back aways. I can remember when Steve was working on this as we grew up. It shows his passion for God on so many levels. Each time I hear it, I’m reminded how we need to thank God for the little things that are around us, and return to his grace which first saved us. Track 5, “All I Have” is built upon powerful lyrics that will have you analizing what faith truly means in your life. It begins with an easy beat that does not over power the lyrics, (which seem to attack your heart as you look at your own life). Its nice to be challenged in your faith during worship, and not always focused on the message of “everything will be alright.” I prefer being re-focused on where God is in my life. Track 8, “Free” opens up with great promise of rocking out, and progresses into an amazing demonstration of worship. This is what I’ve been hoping for, and I love being able to hear the passion for God coming from the musicians. I believe worship is not only about singing, but giving your all to God as an offering to Him. Track 8 provided this special moment for me. Look, I’m the guy that has only one or two worship albums on his Ipod. But I have now found one that I feel brings me, and challenges me to enter in the presence of God; which is very refreshing to find. 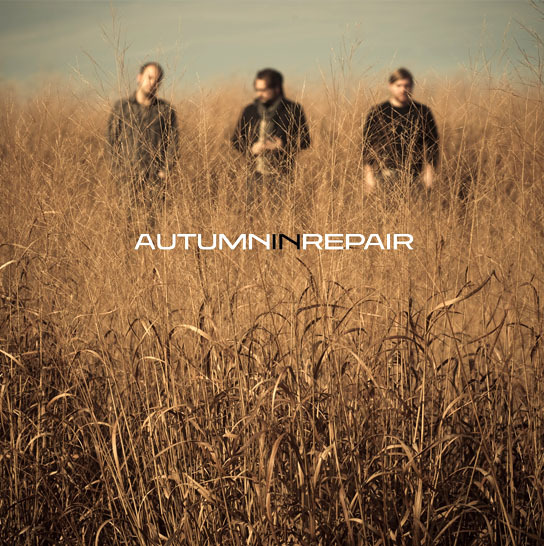 I feel that Autumn In Repair’s self-titled albumAutumn In Repair is a valuable production. In it, I found a renewed passion for my Lord. To me, this is what worship is all about; being able to reach out to God in countless ways to praise His name. Check these dudes out! If you are interested in getting a hard copy of the album, and not downloading it you can get it here.